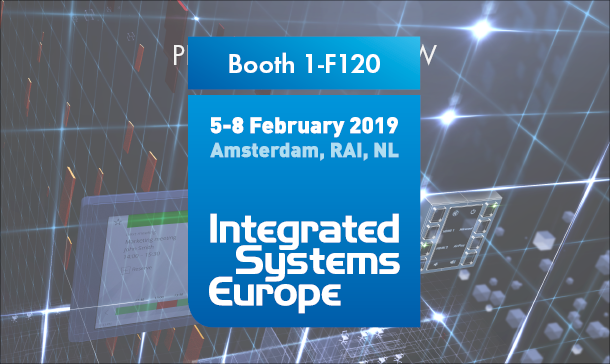 The four-day ISE 2019 is perfect event for presentation of new exciting CUE' products. As an ISE founding member and leading manufacturer of smart control system, CUE presents products developed and produced entirely in the Czech Republic. We would like to invite you to our booth 1-F120 located at hall 1, Amsterdam RAI, NL. Book your free ticket to ISE 2019 using link Registration above. CUE's invitation code is 704358. CUE will present many new products and solutions. Note that the Cue Czech Beer Party is planned at CUE booth for - Tuesday 5.2.2019 from 5PM - Wednesday 6.2.2019 from 5PM - Thursday 7.2.2019 from 5PM.